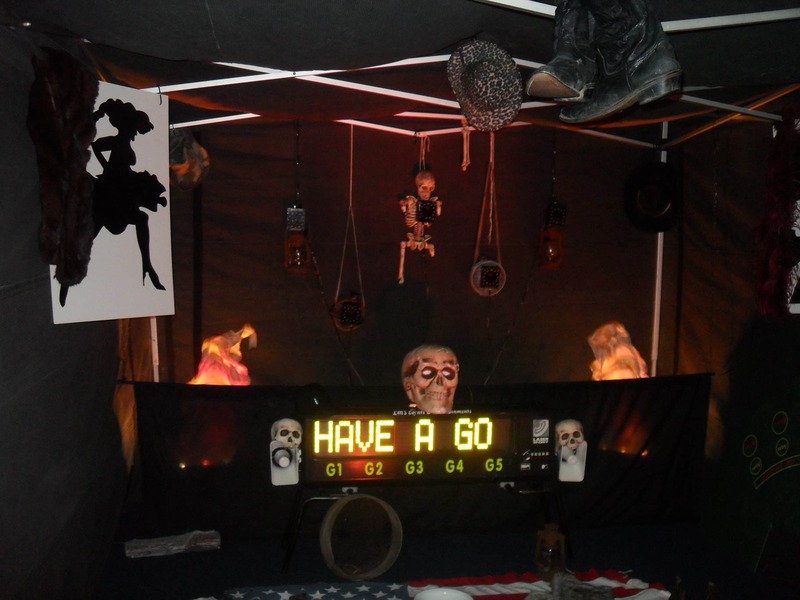 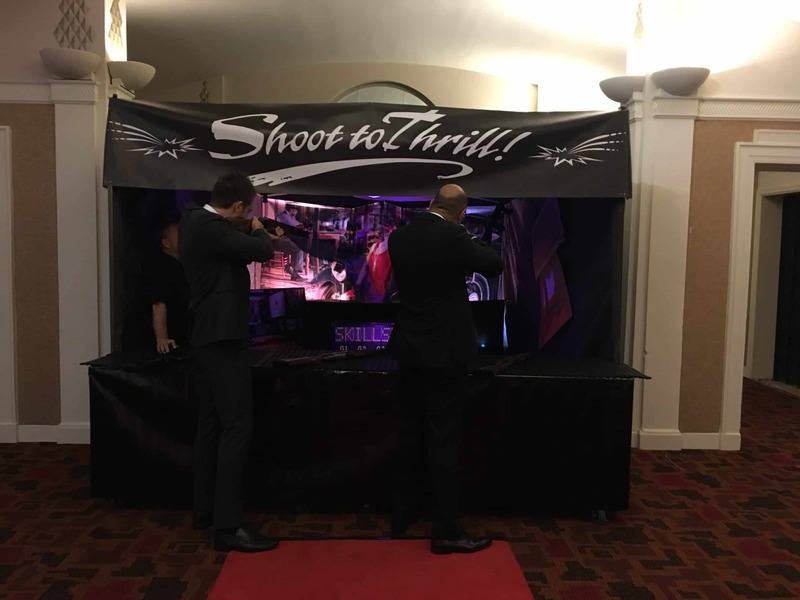 Indoor Laser Target Shooting uses our 5 gun Laser Sport system in a specially designed blackout area so it can be themed and lit to any requirements and branded to your own corporate identity. 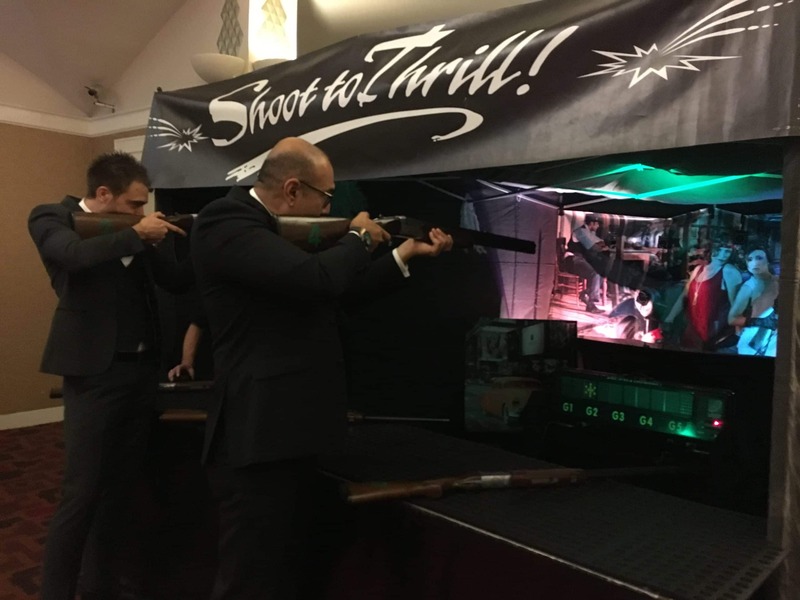 Great as an indoor daytime activity at Team Building Days, Product Launches, Exhibitions and Trade Stands or Indoor Sports Days, or as an evening activity at Balls, Galas, Charity Events, Corporate Evening Events, Birthdays or even Weddings. 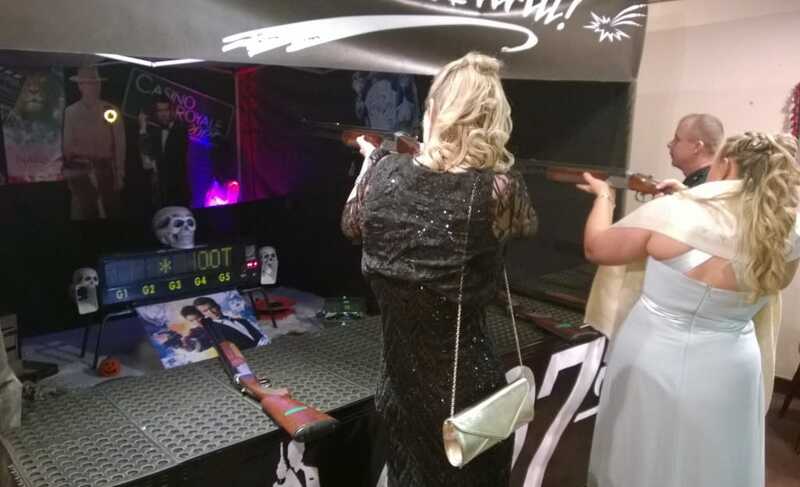 Travel back to the Wild West with our Western Themed Target Shooting or into the secret and undercover world of 007 just to name a few, the choice is completely up to you. 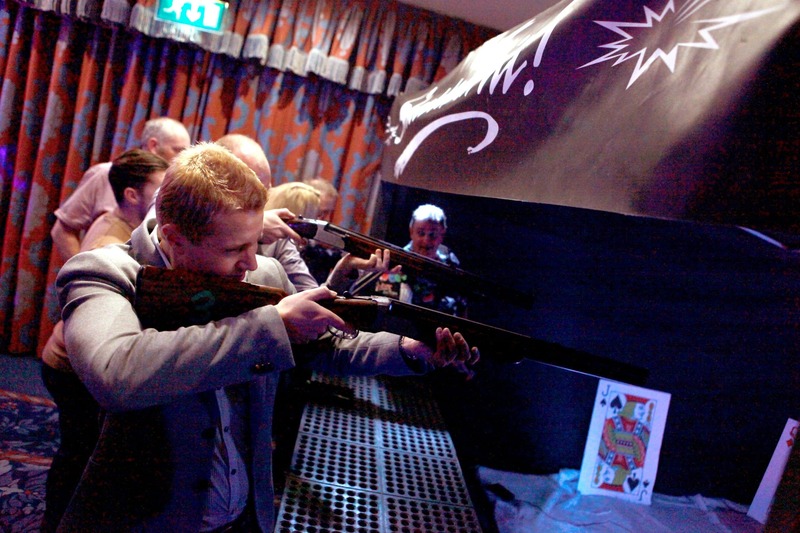 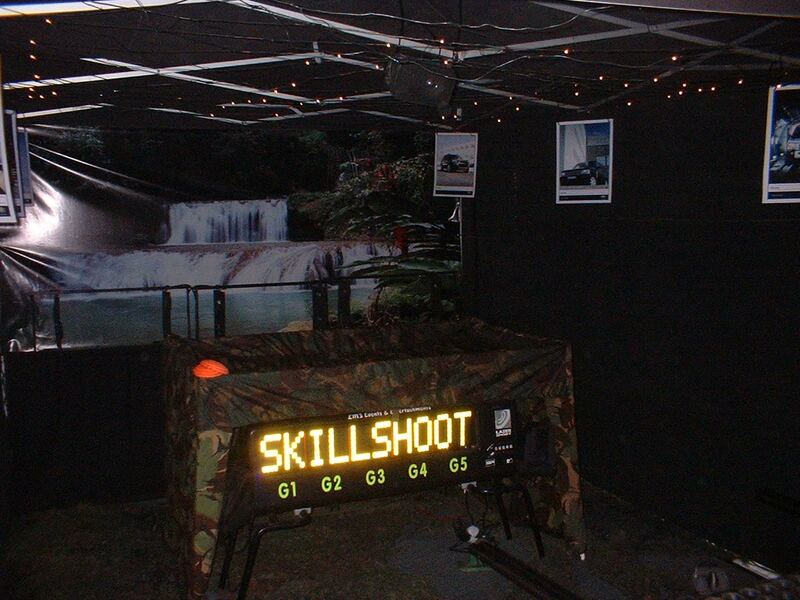 This unique shooting experience enables five participants to compete against each other, shooting the randomly lit LED targets with our Laser Sport system as they appear down the blackened tunnel. 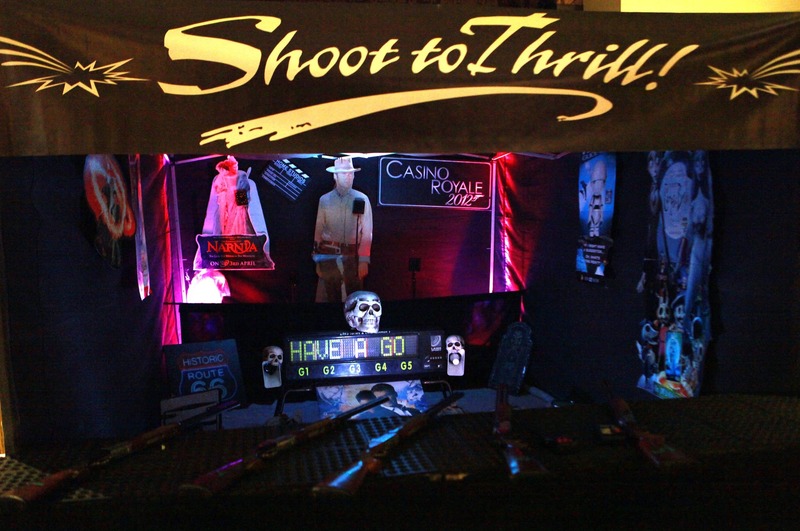 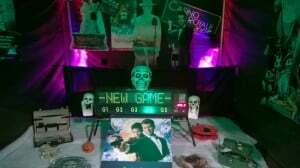 The tunnel is lit with black lighting and lasers and themed to your event needs, examples include Aliens, Gangsters, Western, Dr Who, James Bond, Legends of Narnia, Great Gatsby, plus many others. 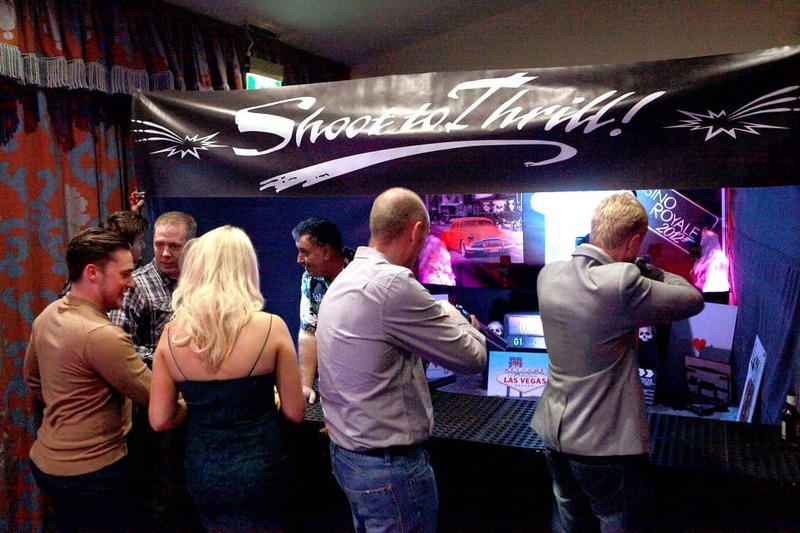 We can even theme it around a product you would like to promote. 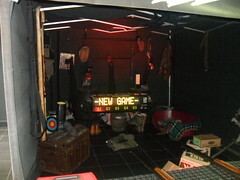 This activity was predominately designed for indoor use but is also available as an outdoor activity. 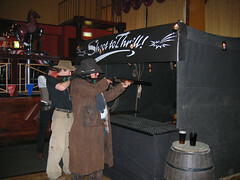 Shooting with real de-activated shotguns gives a real shooting gallery experience. 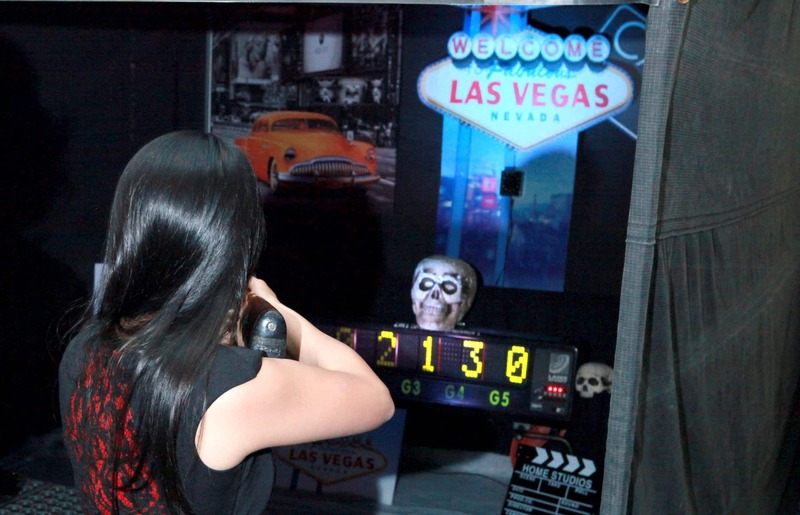 You must master the shotgun and the sight, as you must be a accurate shot with the Indoor Laser Target Gallery. 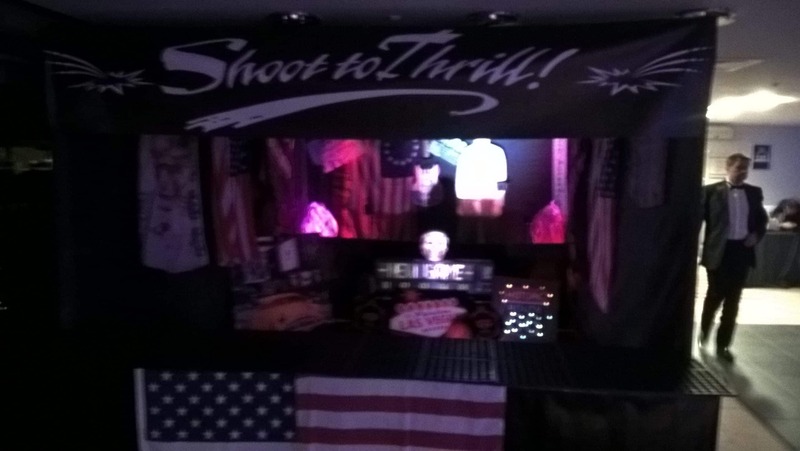 Standing at 3m x 6m, this area is then filled with props and becomes a main point of your Evening Party, Ball or Indoor Team Building Event.